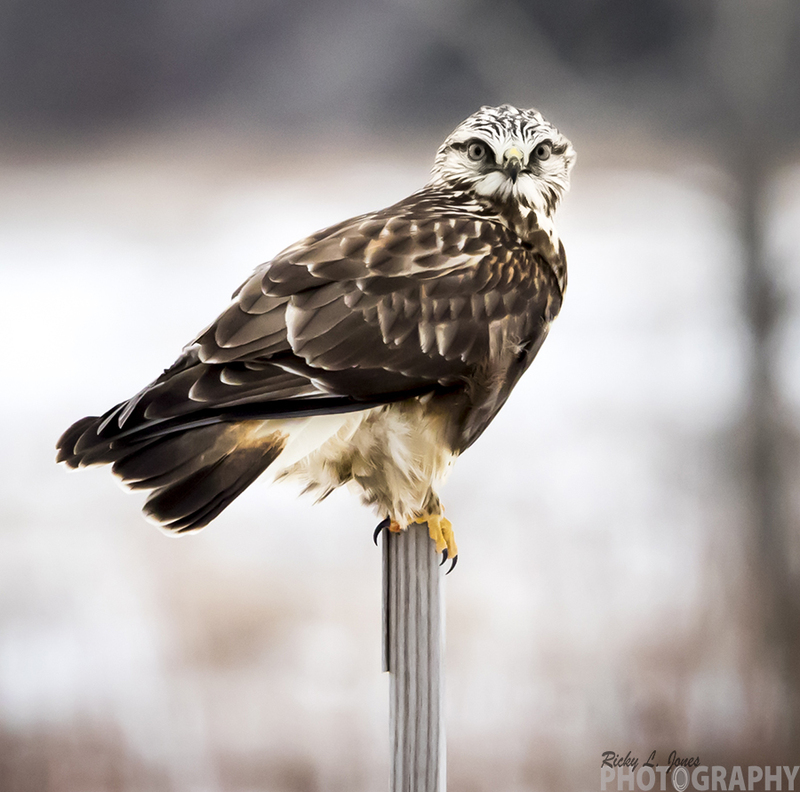 The rough-legged buzzard (Buteo lagopus), also called the rough-legged hawk is a medium-large bird of prey. It is found in Arctic and Subarctic regions of North America and Eurasia during the breeding season and migrates south for the winter. It was traditionally also known as the rough-legged falcon in such works as John James Audubon's The Birds of America. (C) Copyright Ricky L.Jones 1995-2017 All rights reserved.